VATICAN CITY (CNS) — In an effort to help support the economy of the central Italian region devastated by several earthquakes in 2016, the Vatican has purchased food from local farmers and producers to feed the homeless. 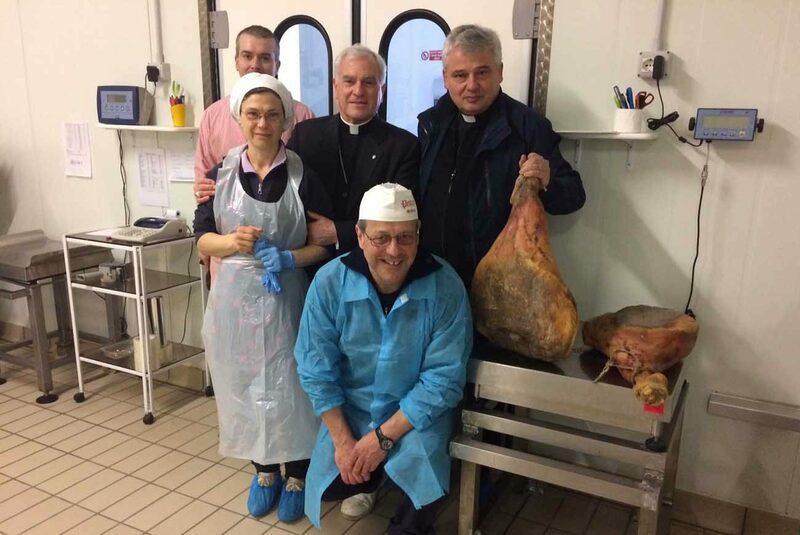 Pope Francis instructed his almoner, Archbishop Konrad Krajewski, to purchase large quantities of food from central Italy, known for its delectable selection of meats, cheeses and wine. Working with bishops from the devastated areas, Archbishop Krajewski purchased products from “several groups of farmers and producers whose businesses were at risk of closing due to the damage caused by the earthquake,” the Vatican said in a statement released Feb. 23. “The papal almoner proceeded to purchase a large quantity of their products with the intention, expressed by the Holy Father, of helping them and encouraging them to continue their activities,” the Vatican said. All of the products purchased by the papal almoner’s office will be distributed to soup kitchens in Rome that prepare meals for the city’s needy and homeless people. The Vatican City State supermarket, which is open to Vatican employees and pensioners, also has made central Italian food products available for purchase. Both projects are gestures of support for the local economy, which is struggling after major earthquakes in August and October. Throughout his pontificate, Pope Francis has spoken of the difficulties faced by the unemployed and those unable to support themselves or their families. “There is no worse material poverty — I am keen to stress — than the poverty that prevents people from earning their bread and deprives them of the dignity of work,” the pope said in May 2013.